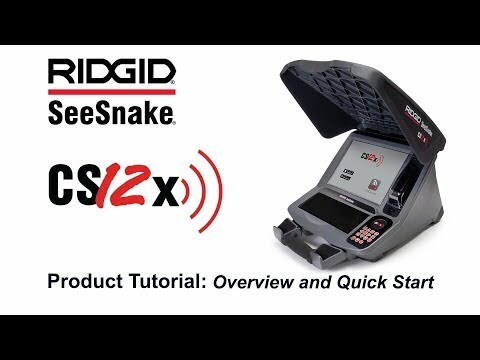 The RIDGID® SeeSnake® CS12x Monitor delivers a large screen, dual battery functionality and Wi-Fi connectivity. Designed to help you work smarter, not harder on the job site. Enhanced Connectivity - Stream or record inspections to an iOS or Android phone or tablet with the free HQx Live companion app. Storage Option - Capture images and video directly to a USB drive. Dual Battery Power - Two batteries can be installed to deliver maximum runtime at the job site. Large 12.1" Display - At 12.1” and with a resolution of 1024x768 pixels, the upgraded high contrast display is crisp, clear and daylight readable. More Powerful Processor - Delivers quick start-up time and snappy performance. CS12x Digital Recording Monitor with Wi-Fi is rated 4.0 out of 5 by 1.